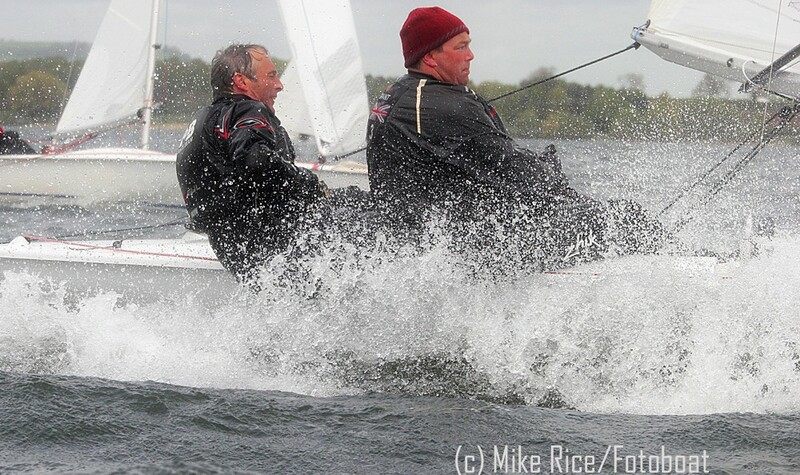 It is reasonable to say that Datchet is a light to medium winds kind of race venue. Probably two thirds of our races would be in 12knots of breeze and less. Andy Clark , and his partner Nadia Melnikova, race a Silver Category Boat, and very good they are too (see “Silver Category” webpage in the “About Owning” section of this website). In light breezes they are devastatingly quick. Their combined weight is probably in the lighter half of the fleet, which helps, but Andy would be the first to say that it is technique that matters most. In this article below, Andy spills some of his secrets…. I for one know that in light winds, I have a little less rig tension and play the mast ram forward a touch depending on how much the main leech is hooking, in conjunction with mainsheet. No kicker!!!! You can literally see when the main is asking too much of the light winds…it stalls before being able to exit the leech. 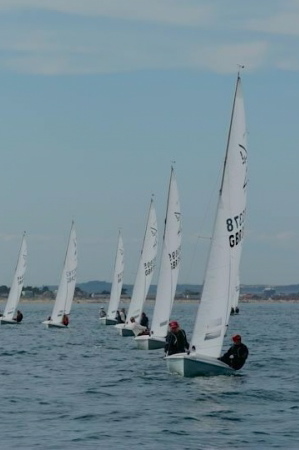 Flat sails yes, but an open exit is key in very light wind or you disrupt the exit flow. If you’re not sure what I mean, sheet the main just off the centre line, ease the jib so it is not choked in at the spreader (a more open slot gives the next to no breeze less to do) and play with the mast ram. If you ram the mast too staight, you will see the main hook at the top and the jib leech tighten, closing the slot and the speed will drop. In effect, you might as well hoist two bits of cardboard up the mast. The trick is to optimize the shape in the puffs…very tricky! You need a balance of a flat sail with an open exit. I do this with a combination of mainsheet and ram, and I’m talking less than inches here! Jib sheet tension is also key and this is a bit more down to taste. If you want to sail free or try to drift up on your apparent wind to the next puff etc. I can’t really advise here as it demands a really good communication between the helm and crew. Hey, if it was that easy, we’d all have gold medals!…just keep that slot at the optimum for the conditions. Crew weight and helm should sit as far forward as possible to stop the transom digging in and creating drag. Anyway, that’s how we do it. The rest is looking up the race course and predicting where the breeze is going to hit and making for it…throw your tacktick out the boat, use your eyes and look at as many boats around as you can. Those are my tips for light to no wind conditions. How about the rest of you? As I said, it’s amazing how different each team approaches the conditions. In my experience, the key to a faster ff is understanding your rig in conjunction with sail trim and learning how to ‘change gear’ quickly. Next discussion Force 3-4. For now Force 1-2 discuss….! !